Location Dicky Edge West. Cordilleras Farm. 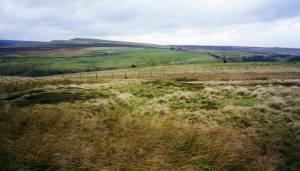 Record Name Two burnt mounds above Dicky Edge (West). Record Description Two burnt mounds locate close together at the same spring, visible as low mounds of fire cracked sandstone. The larger site is crescentic in form 15m*10m, the smaller site is oval on plan, 9m*6m overall. Additional Notes This large burnt mound complex is just 250m NE of the hut circle settlement on a terrace below the scar formed by the westward extension of Dickey Edge. (MSK18). The association between burnt mounds and hut circle settlements is widespread throughout Britain. 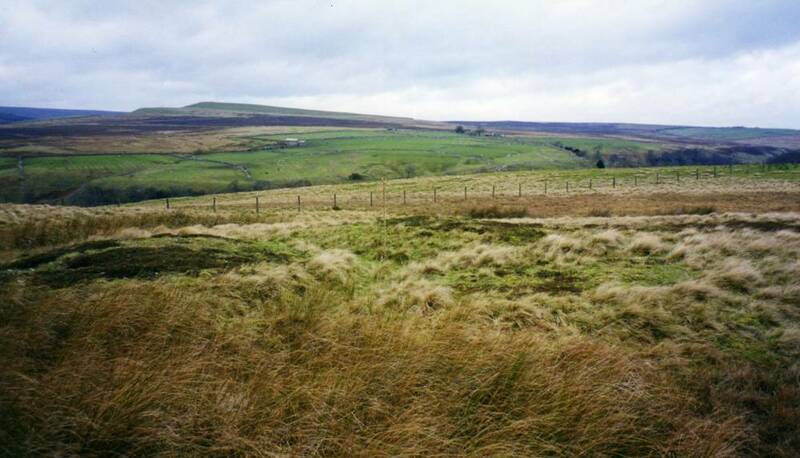 Image 1 Description Burnt mound , the larger of two adjacent sites at this location, above round house settlement below Dicky Edge.